Bahaha golden orbs! I will take a “not a recipe” any day over something made with Twinkies. 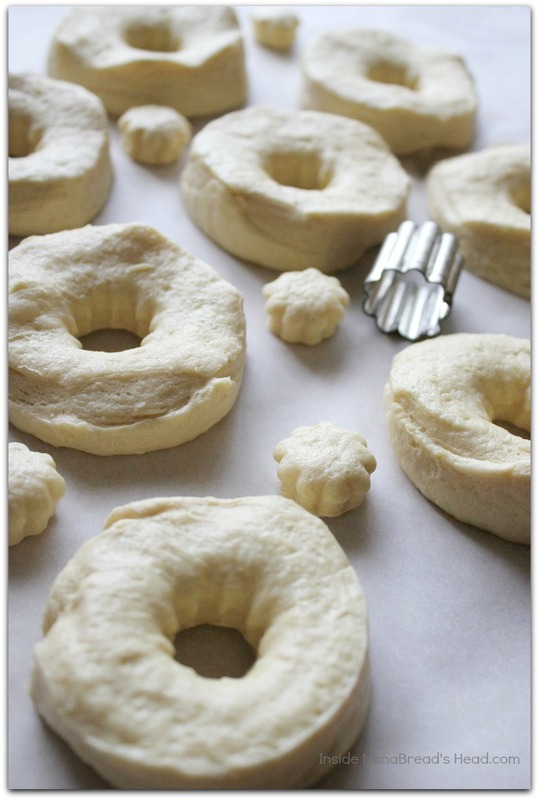 These look like the kind of donuts I can actually accomplish without pulling my hair out on a weekend morning. Thanks for the great shortcut! The coffee made me do it. I blame Green Mtn. Coffee Co. I make my Strawberry Shortcake with a white cake mix, too! 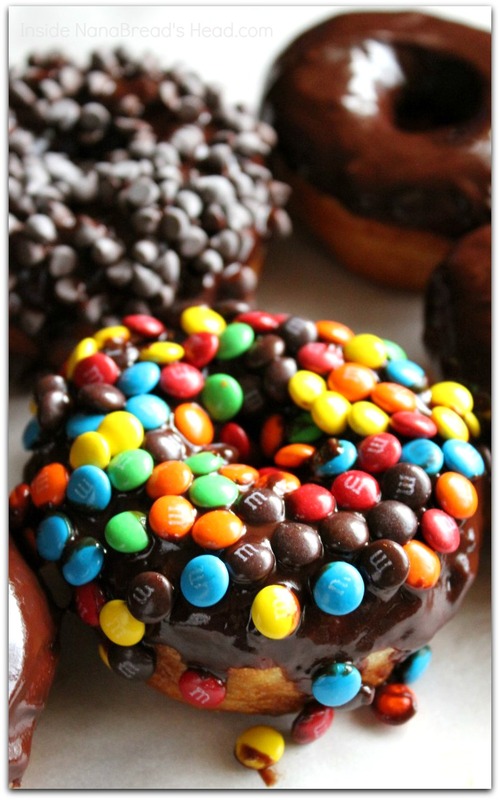 A birthday donut bar would be awesome with these. It takes almost no time to make them, so you can focus on decorating. 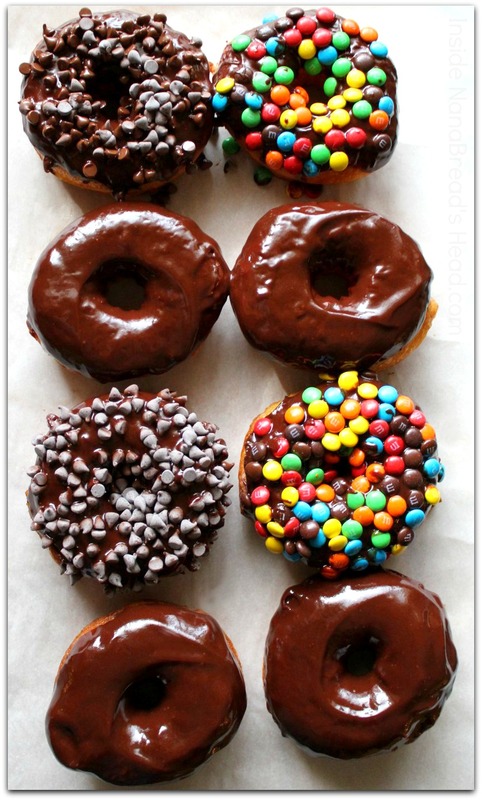 I want a donut party now! 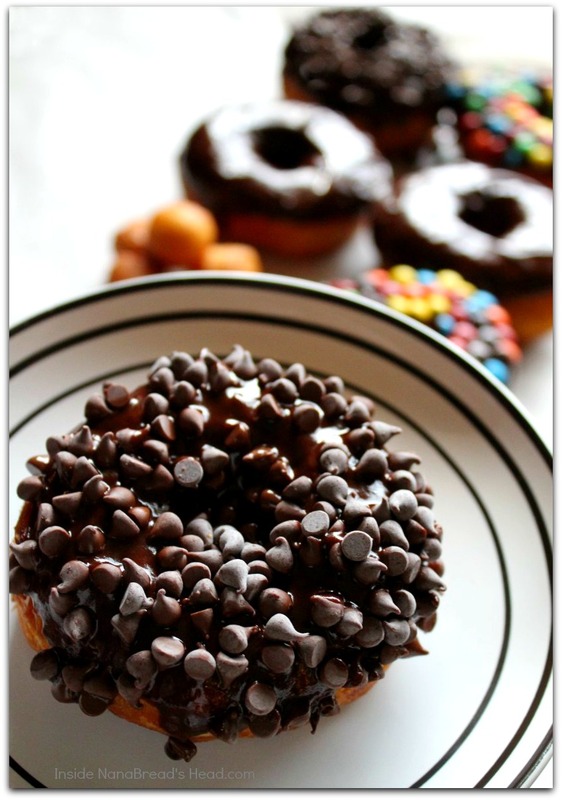 Donut Bar! Now that’s a brilliant idea, Sheila! Can you imagine our next OKMH gathering? Oh LAWDY!! I can’t wait. No reason why quick and easy can’t rule the day. My eyes glazed over at the glossy ganache. Love the dipping choices too! Thanks so much! I love all this talk of donut parties with dipping stations. So fun! They are gorgeous! 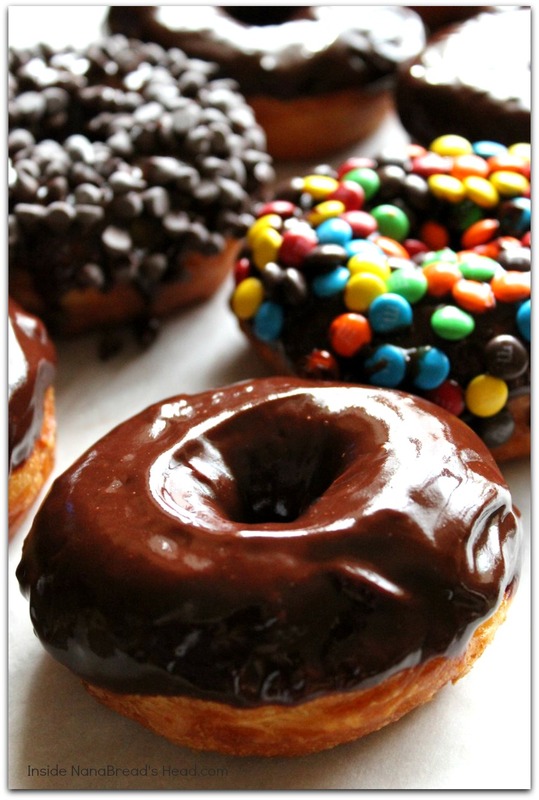 And yes, you can bribe me with one of those donuts! 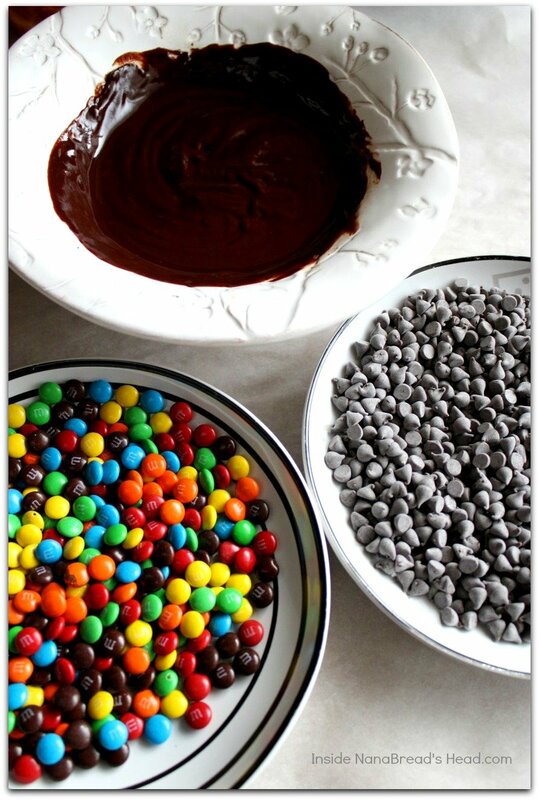 Mmm… nuts & chocolate. Good call! 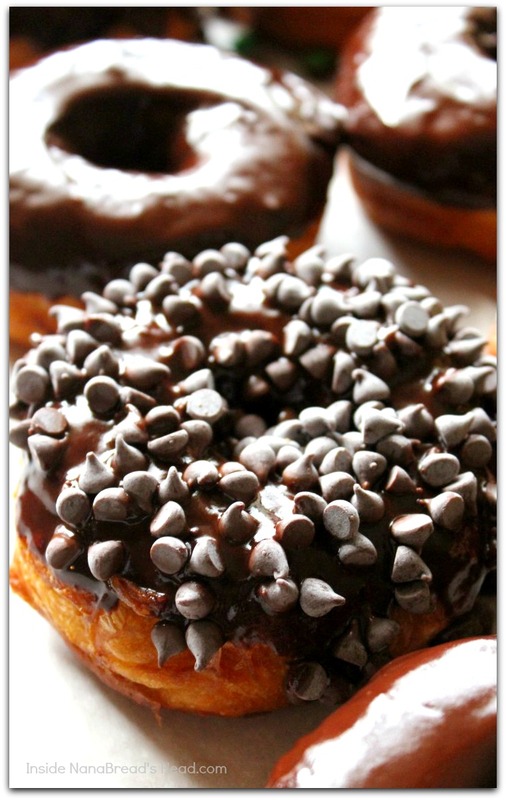 Your ganache + topping ratio to dough is absolutely perfect. 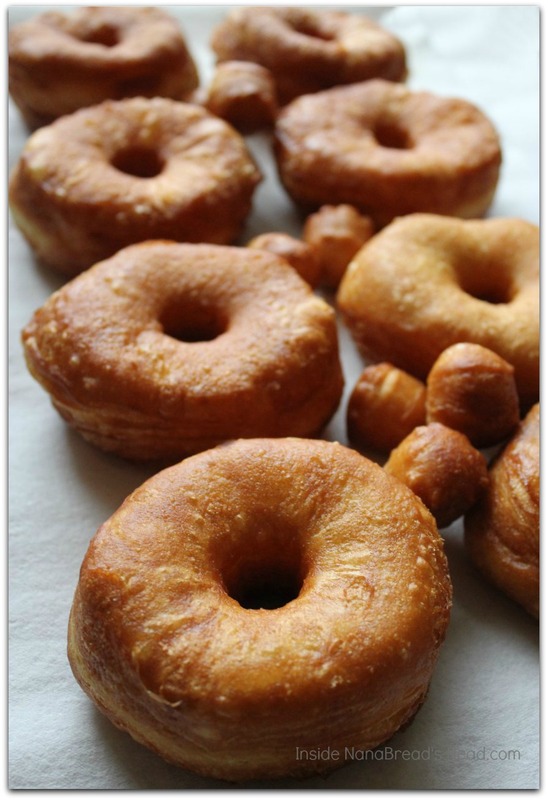 I don’t think you’d hear a single complaint from *anyone* that you served one of these donuts.